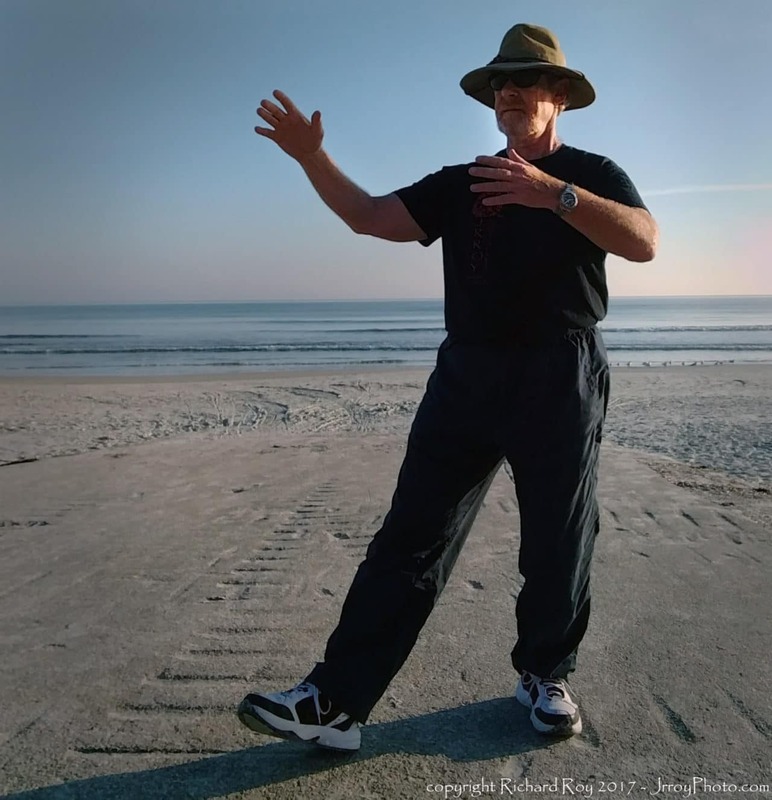 Master Roy in Standing Meditation at Hiles, New Smyrna Beach, FL. 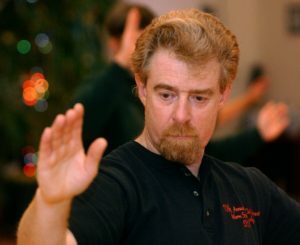 Master Roy (his students call him Sifu [See-Fu]), has been a full time martial arts teacher and school owner for over 40 years. He started his study of eastern philosophy and meditation in the 1960’s and continues today. 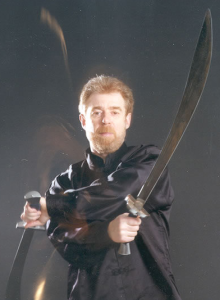 He is a 7th generation Disciple in Yang Style Tai Chi Ch’uan (June 30, 2001), an 8th degree Black belt in American Karate (2009), 5th degree Black belt in Modern Arnis (1997), and master teacher of Bagua Zhang, I Ch’uan, and several styles of Qigong. During winter months Nov-April, in New Smyrna Beach, Florida, meeting at Hiles Avenue parking lot (on A1a, South Atlantic Avenue, near Mi Mexico Restaurant), then training on the beach. Click for Google Map. During the summer months May-Oct, in Greenfield Massachusetts, meeting at the J.R. Roy Martial Arts Studio or at Master Roy’s home in Leyden, MA. Contact Master Roy at jrroy@jrroy.com, or leave a message at the Greenfield Studio at (413) 774-2888.